Albania Real Estate in Dhermi. Best quality Apartments in Dhermi for sale. Located in the beautiful village of Dhermi, overlooking the beach. This residence is located in Dhermi, in Albanian Riviera. Overlooking the beach and the whole Dhermi Bay. Just 300 meters in straight distance from the crystal sea water. All apartments are oriented towards the sea. Paved road going directly to the beach below. Best quality construction throughout the area. External walls with thermal insulation. TV satellite system installed for each apartment. Most recent models of electrical materials imported from Italy. Plumbings and bathroom also with Italian imported materials. Bathrooms come with boilers for hot water. Bidet and wc are wall-hanging with deposit hidden in the wall. Sinks are wall-hanging and come with marble top. Highly secured main door made of metal inside and wood outside. Double glazed windows with gas and thermal profiles, net against insects. Windows with Persian slide shutters. Most recent models of tiles imported from Italy. Parquet Made in Germany - Terhurne brand. Wooden tents for apartments on the second and third floor. Decorative trees in the garden, flowers and grass. Specially made irrigation system for the garden. Internal roads paved with stone tiles. Parking space available for all residents. Night lightning system in the residence. 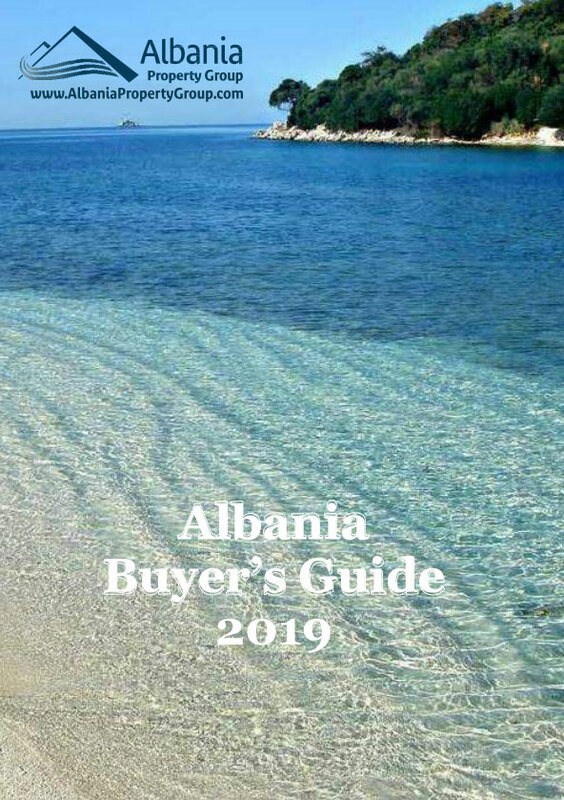 It is without doubt number 1 tourism destination in Albania. Dhermi coastal village situated in the southwestern part of Albania. This village is famous for its crystal clean waters. Offers a great combination of sea and the mountains on the back. 15 min drive from the National park of Llogara. 20 min drive from Himara the center of area. Dhermi averages 300 days of sunshine. The native residents are bilingual Albanian & Greek. A new road between Vlora, Saranda completed. Large Port in Vlora bringing in thousands of tourists each year. Business growing fast in Riviera due to high interest from foreigners. Shortage of housing in the summer season.